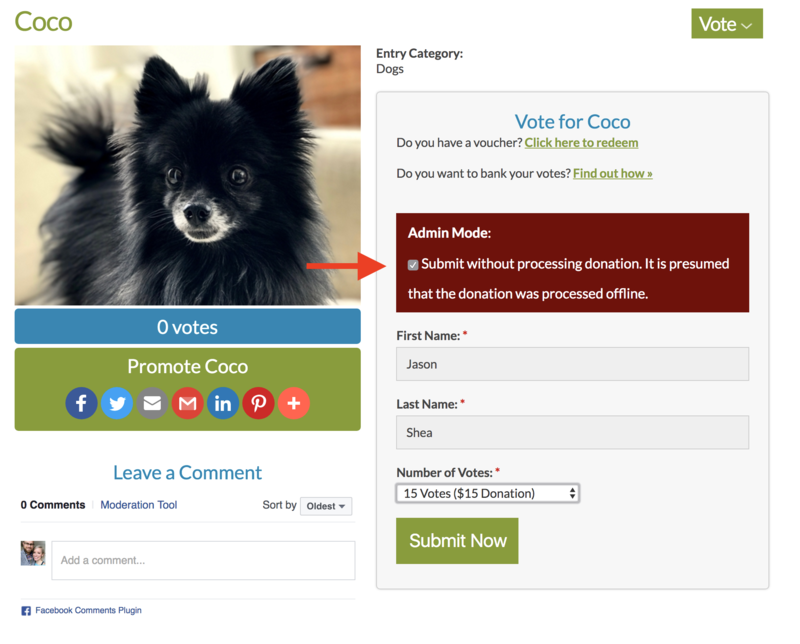 Follow these steps to apply offline votes (donations collected in-person, either at your organization, over the phone, or through the mail) to a photo in your contest. 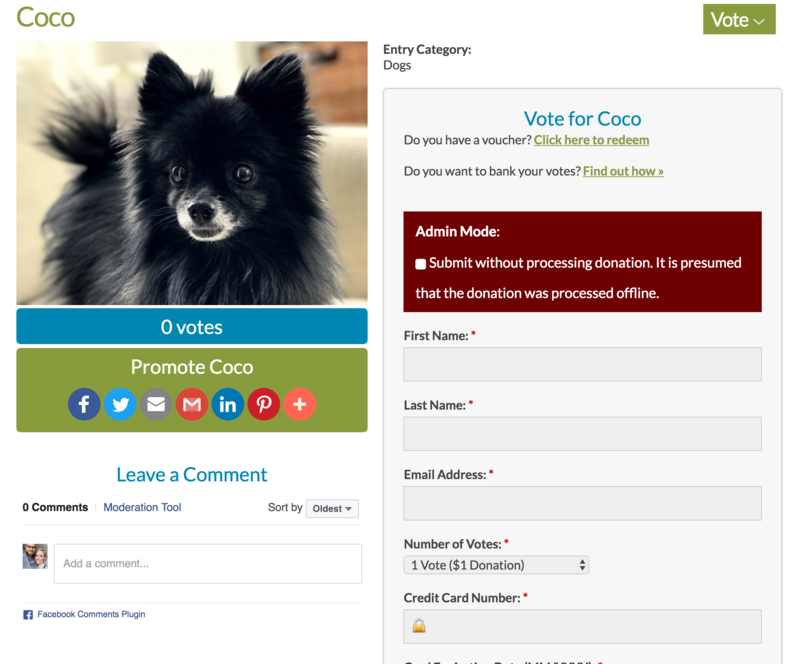 This allows you to apply votes without having to provide payment information. Submit without processing donation. It is presumed that the donation was processed offline. 5. Fill out the offline donors information (First Name, Last Name) and the number of votes that need to be applied. 6. Click Submit Now to apply the votes.